Today we head down to Inakadate to witness the interesting Tanbo Rice Art fields. Inakadate is one of the older places on Earth where rice cultivation was initiated. 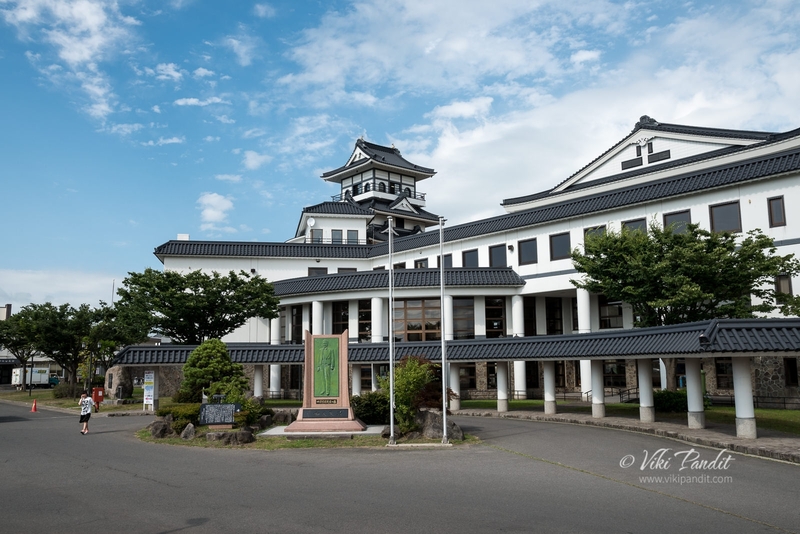 In 1993, in order to honor this 2000 year old history, the people of this quaint village started a rice field behind the town hall and created a picture of Mt. Iwaki using the paddy as a canvas. Since then each year, the villagers create a new graphic using colored paddy that attracts visitors from far lands to see this innovative art. We woke up to a beautiful sunny day in Aomori. 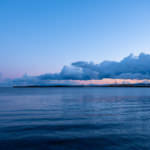 I was still under the spell of the magical sunset that swept us off our feet at the Matsu bay. The weather was cool and pleasant and we had a busy scheduled planned for the day. 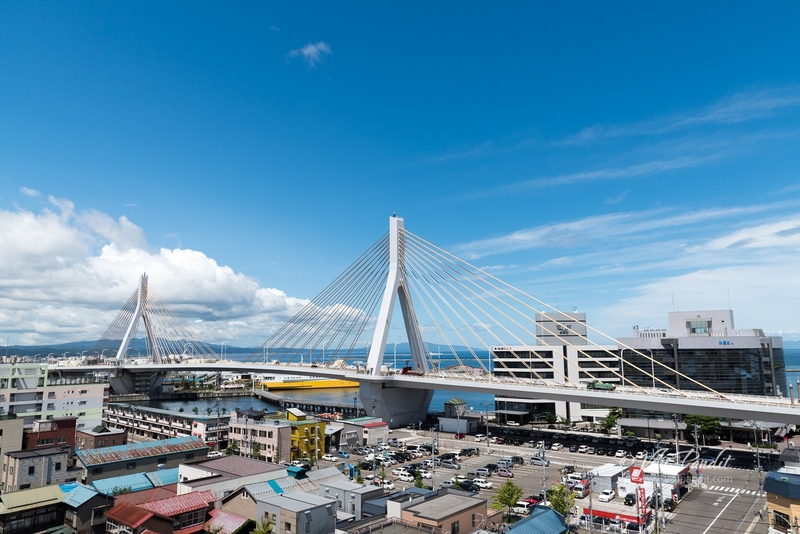 From the window of our Hotel APA, I could see the Aomori Bay Bridge in a distance. After a light breakfast we walked down to Aomori Station. 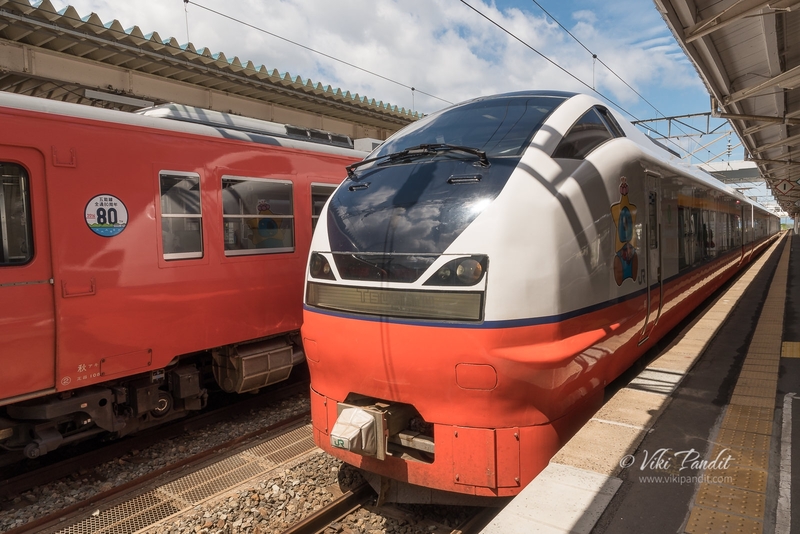 We took the Tsugaru Limited Express to Hirosaki Station. The inside of Hirosaki Station was still decorated with Nebuta Floats. 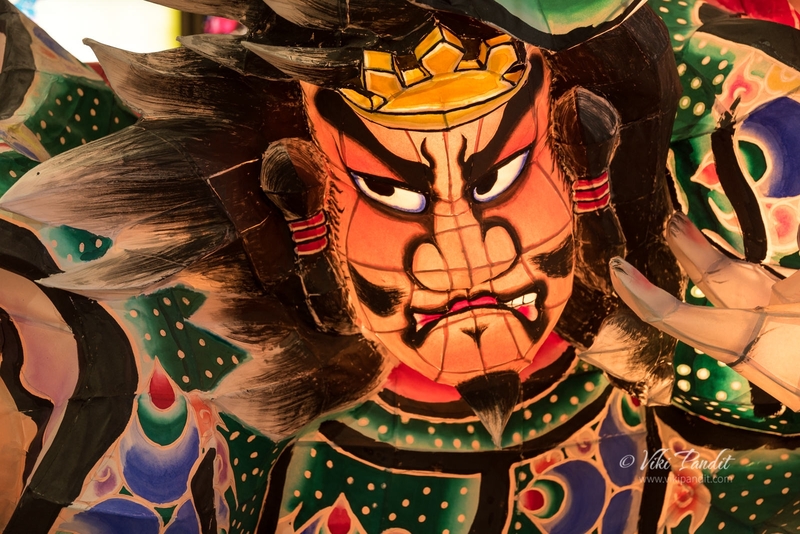 The Nebuta festival had just got over in Aomori. Its a very interesting festival. 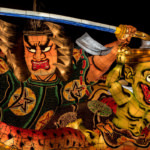 If you want you can check out my article on the history of Nebuta. Hirosaki is also famous for its apples. If you like the raw fruit, there are many different apple products available at the local stores. Do try some when you are here. After a bit of a wait, we took the bus to the Inakadate-mura Observation Platform. The bus dropped us off at the Town Hall stop but it was mostly deserted and we had to hunt about a bit to find the venue. I guess most people don’t use the bus so they didn’t put up any signs nearby. For 2016 the “Tanbo Art” is created under two themes. One is from NHK TV drama “Sanadamaru” at the first town hall venue and the other from the movie “Shin Godzilla” at the second venue. 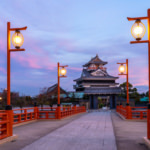 At the Castle tower, there is a 300 yen admission charge to get up to the observation deck and an additional 200 yen charge if you want to go the to topmost observation deck. The paddy field looks like just another field from below. A small queue had formed for the elevator to the 4th Floor Observation Deck. On the viewing balcony, thankfully not many people were around and we got the front row experience. 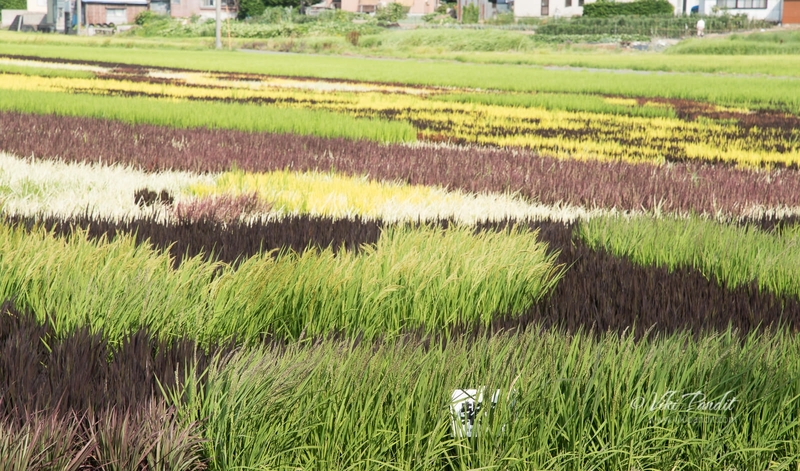 The rice paddy art uses various colored rice plants as paint on a rice-field canvas. The massive pictures are elaborately designed using perspective drawing methods to make them look their best when seen from the observation platform. Two huge fields lay before us with scenes for the Japanese drama Sanadamaru starring Masato Sakai. 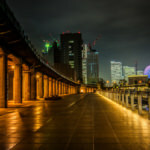 The television series follows the Sanada Maru, a fortification defended by Sanada Nobushige during the Siege of Osaka in 1615. On the 4th floor one can purchase tickets for the 6th Floor Castle Tower but we were happy with what we saw from the lower deck and decided against it. For over 2,000 years, people in the small town of Inakadate, Japan have grown rice. Unfortunately, growing rice was all the town was known for until 1993. In a near desperate attempt to generate attention and tourist revenue, the townspeople began working on a public art project. With the paddy as a canvas, the villagers cultivated and used four different types of heirloom and modern strains of rice to create a giant picture in the field. 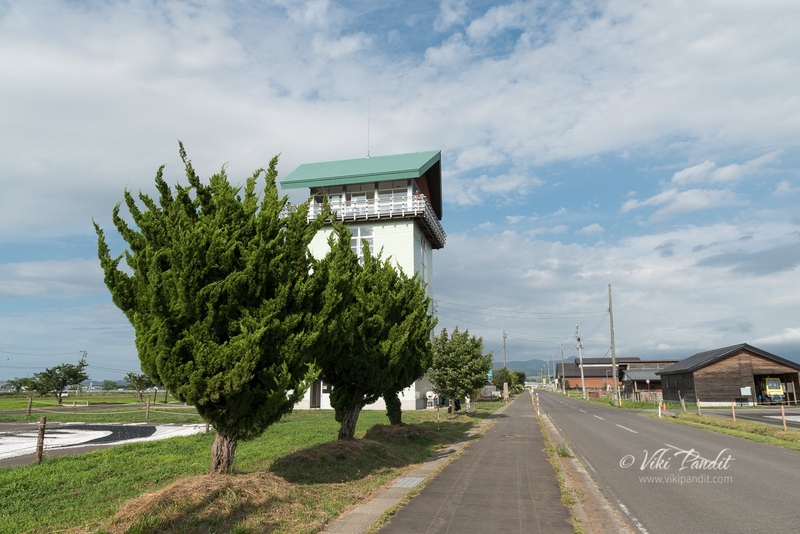 To allow viewing of the whole picture, a mock castle tower 22 meters high was erected at the village office. The village where this artistry started, Inakadate-mura, Aomori Prefecture, is celebrating their event’s 22nd anniversary. 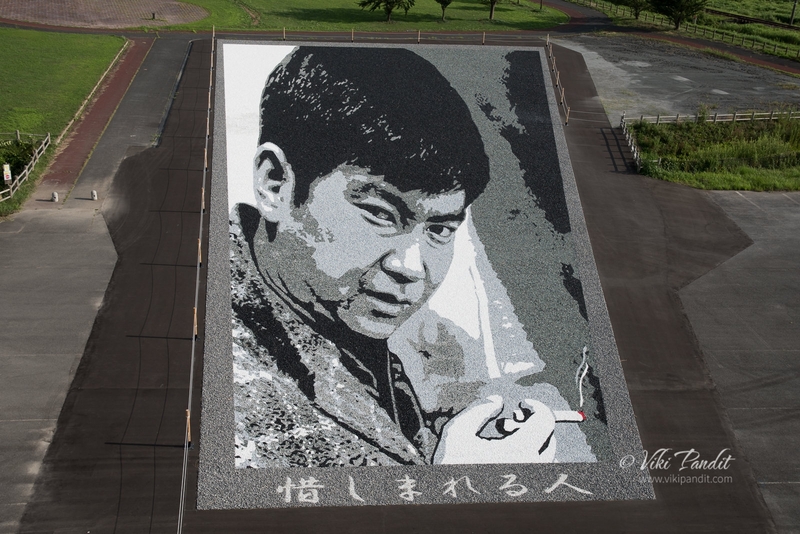 Initially, they used three different colored varieties of rice to create artwork of Iwaki Mountain with the phrase “Village of Rice Culture: Inakadate” in a rice paddy 54 meters long by 47 meters wide. In 1993, the first work of art was only a depiction of a mountain, using a few colors. Since then, the town has become much more bold, even incorporating multiple fields to create a dramatic battle scene between a monk and a samurai. Each year the rice is planted and a new image is created. 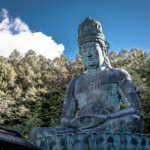 For the most part, the images reflect Japanese culture and traditions. However, in an attempt to draw more tourists to the town, the Mona Lisa was also attempted in 2003. Every April, the villagers meet and decide what to plant for the year. Prior to planting, farmers sketch out the designs on computers to figure out where and how to plant the rice. In 2007, 700 people helped plant rice. In Inakadate, the fields used are approximately 15,000 square meters. Agreements between landowners have allowed for larger pictures to be created. 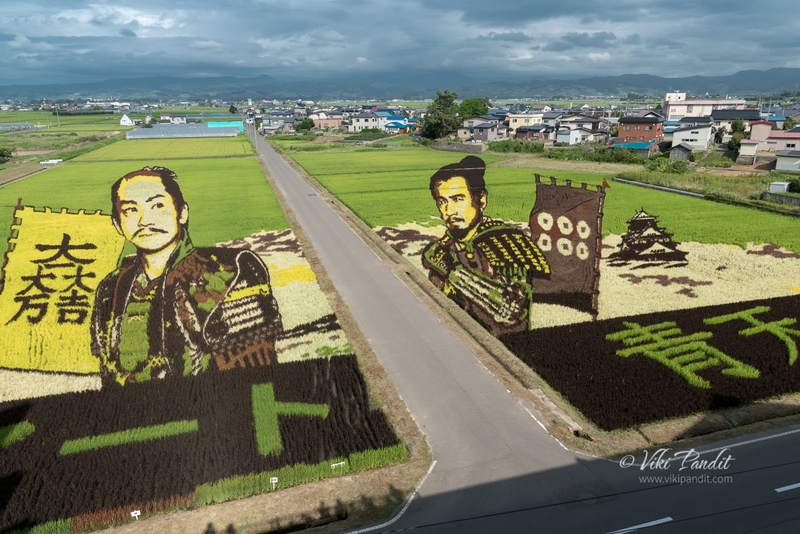 Since then, they have increased the canvas size while also attempting more difficult artwork, such as Leonardo da VINCI’s “Mona Lisa” and KATSUSHIKA Hokusai’s “Thirty-six Views of Mount Fuji.” This year, they have planted rice of five different colored varieties in a huge rice paddy 143 meters long by 104 meters wide. This summer, artwork resembling “Ushiwaka and his subordinate Benkei.” (famous historical figures) is expected to appear. The main purpose behind the creation was to take advantage of the tradition of manual work in rice cultivation to give people an opportunity to learn more about rice farming and agriculture. For the first nine years, the farmers created a simple picture of Mount Iwaki before going to more complex designs. By embracing its agricultural past, and adding a little 20th-century technological know-how, Inakadate was able to create massive living art, made out of colored rice stalks. Called Tanbo (Paddy) art, the designs are wondrous. Spanning entire fields, the rice paddy art takes 1,200 people from the community and $35,000 to create. But the end result is an amazing multi-colored design, stretching hundreds of feet and featuring incredible detail. To provide the full effect for the designs, the town invested in a small 20 meter observation deck in front of the fields. On the tiny deck, 200,000 visitors per year come to marvel at the artistic fields. Given the success of the project in Inakadate, other rural Japanese towns have followed suit, creating other Tanbo art in a similar fashion, incorporating words and pictures to add flavor to their work. 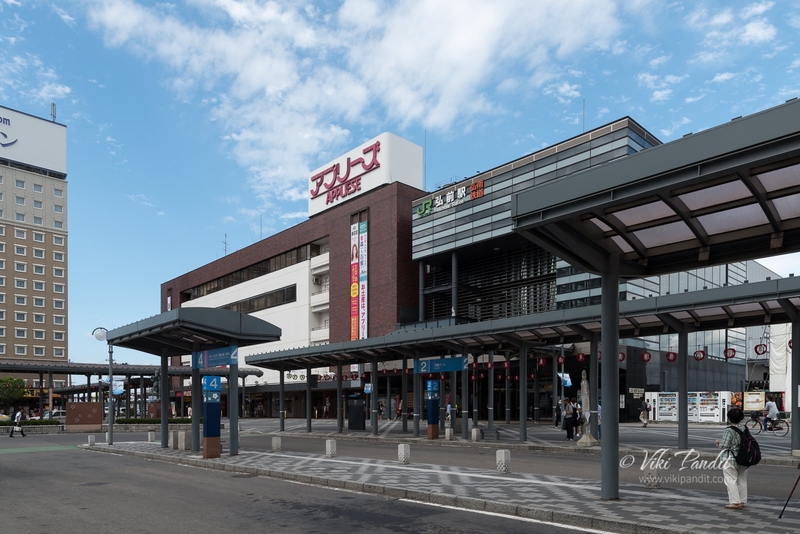 Once we had our fill of the creative ideas of the Aomori residents, we walked down to the shuttle stop from where free car shuttles are available at 30 minute intervals. A car was waiting at the stop but it was already filled. Strangely even though the shuttle was filled it didn’t leave until after 15 minutes when it was scheduled to leave. Well, the Japanese certainly are very particular about time. We waited around for the next car to come along. 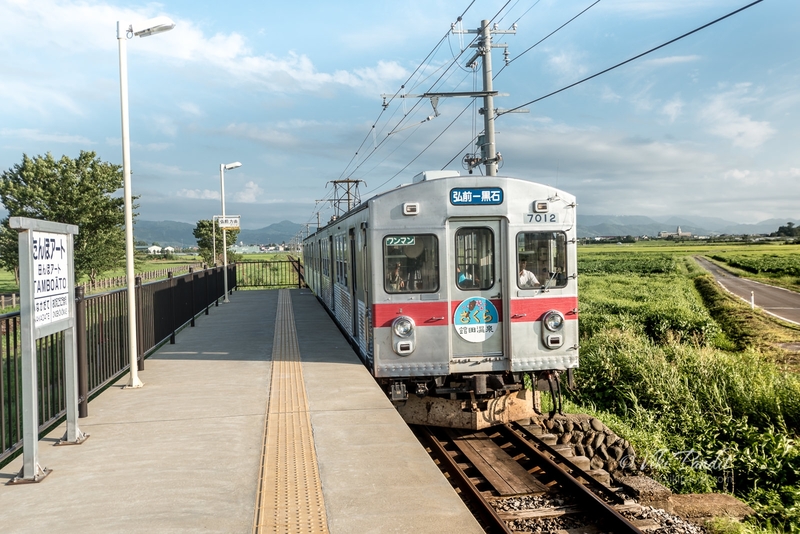 During the rice paddy art event, free car shuttles are available for access between the first venue (Inakadate observation platform) and second venue (Yayoi no Sato observation platform). We reached the second venue – Michi-no-eki Inakadate Yayoi no Sato in exactly 11 minutes. Like I said the Japanese are very particular about time. Here on a huge field, the size of a football ground was showcased a still from the movie “Shin Godzilla”, the new film of Godzilla series that a world-famous monster “Godzilla” appears on-screen. It has been 12 years since Japanese filmmaker produced last one of the series, and the film was released in July 2016 in Japan. Furthermore, this year also “Stone Art”, which is the artwork created using different color of stones on the ground, will be held. It got favorable reviews on last year. 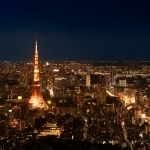 As same as last year, its theme will be a Japanese famous actor, Ken Takakura. 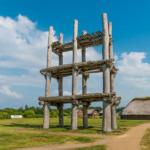 The artwork can be seen from the Yayoi-no-sato observation deck at the second Tanbo Art field. 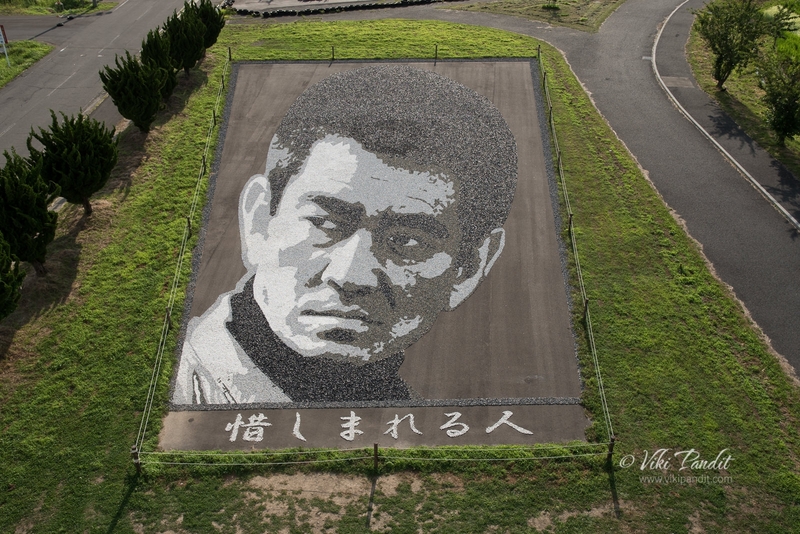 A work of the Stone Art of Yujiro Ishihara, a Japanese actor, will be created in this year. We spent some time up at the tower taking photographs of the endless paddy fields. Going back to Hirosaki Station was much simpler. 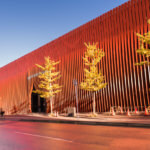 The Tamboāto Station is just a minutes walk away from the second venue. We walked down to the Tamboāto Station and waited for the next train to Hirosaki. 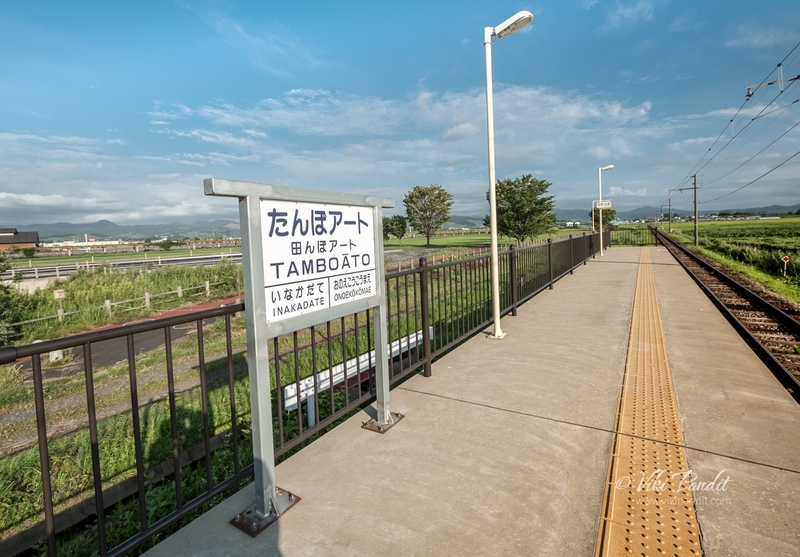 Tamboāto Station (田んぼアート駅 ) is on the Konan Railway Konan Line in Inakadate, links Hirosaki and Kuroishi along a 16.8 km route. 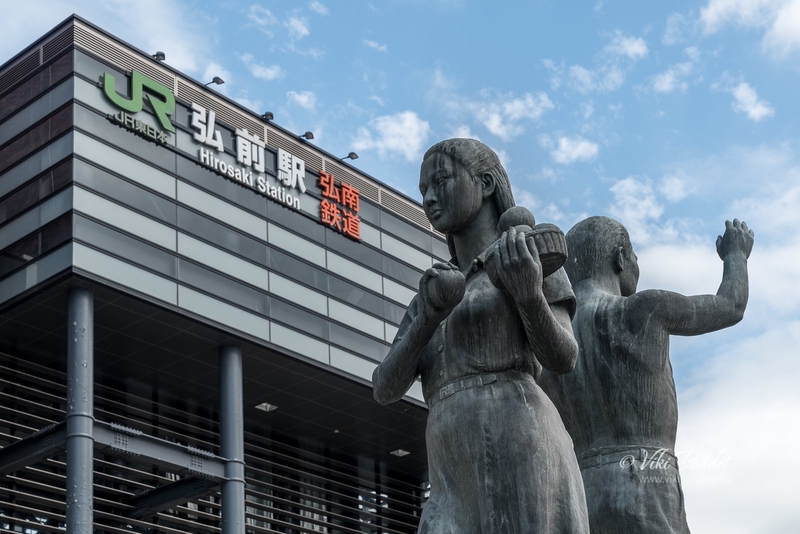 The station opened on 27 July 2013, funded entirely by the village of Inakadate to help raise tourist awareness in the area. Trains are slated at regular intervals and we didn’t have to wait long for one to come along. 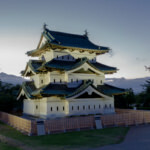 We had a wonderful time in Inakadate and now we were off to Hirosaki Castle, one of the few authentic castles still preserved from the Edo period. The art has gained media attention from domestic and international media because of its uniqueness. Every year, over 100,000 visitors from Japan and abroad come to see the fields, including the Emperor and Empress of Japan in September, 2014. Recommended viewing period: Mid-July to Mid-August. Open 9:00~17:00（Last Admission 16:30. You can also check the status of the rice fields beforehand from the link provided below, using the live camera feeds before starting on your journey.